I love candles. That shouldn’t come as a surprise to anyone who knows me or who regularly reads my blog. After all, I have just finished writing a book about candle magic. As well as being reasonably deft at candle spells, I also enjoy making candles. One Yule, back when I was in my teens, I handmade candles as gifts for all my friends and family. In those days paraffin wax was ubiquitous. You could use beeswax, but that has always been expensive. Nowadays, there are a wide range of natural waxes you can use – the most common type being soy. 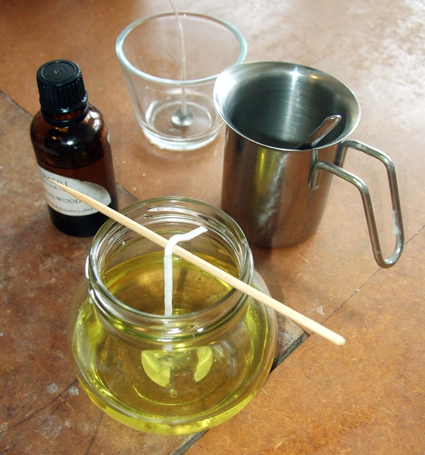 Soy wax can be used to make candles in much the same way as paraffin wax. However, it can also be used in some wonderful new ways – as I learnt when I went along to a soy candle workshop with Sakeena Edo at her family-run business, Lumiere de Londres. The Lumiere de Londres studio, in Woolwich, south-east London, is lovely. 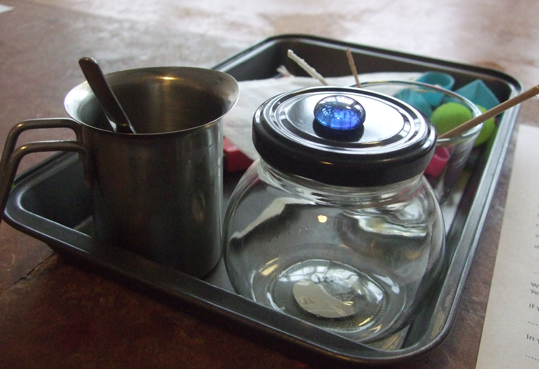 When I walked inside on a grey and drizzly day last week, I immediately felt at home. It had a cosy, friendly atmosphere, smelled of scented oils and perfumes and had shelves displaying beautiful candles, shimmering scented oils and beauty products made by Sakeena herself. Sakeena is qualified in making natural healthcare products and perfumes as well as candle making, and offers courses in them. What’s more, Sakeena has developed ways of combining all three things. 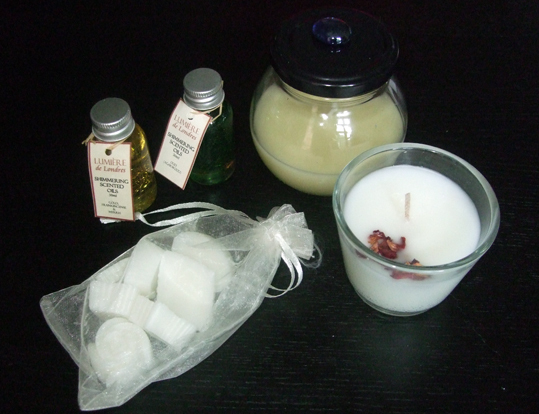 The half-day soy candle workshop I went to showed how to make an aromatherapy candle, wax melts and a massage candle. Aromatherapy candles were not particularly new to me, although Sakeena described how to make them in an easy to understand, no-fuss way. Everyone at the workshop - even those who had never made a candle before - quickly crafted their own container candles smelling of gorgeous essential oils and decorated with dried flower petals. Massage candle were something I had not heard of. They are made in containers in a similar way to the aromatherapy candles, but olive oil is added to the soy wax as well as some essential oil. The idea is that when a massage candle is lit and the wax/olive oil mixture has melted, it can be dripped onto the hands and rubbed in like a rich handcream or massage cream. The wax melts do not have a wick in them, so aren't really candles at all. 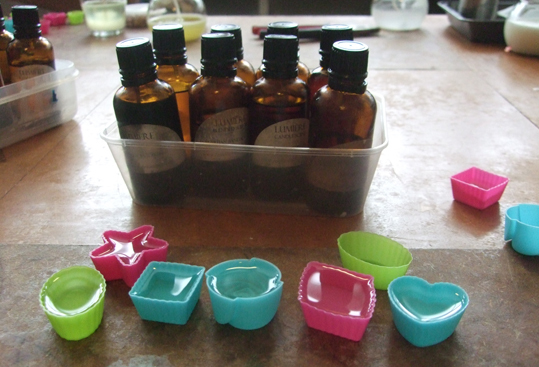 They are a blend of soy wax, gentle oil and perfume set into small ice-cube moulds. These can later be melted in an oil burner to scent the room or dropped into a foot spa or bath of warm water to dissolve and nourish your skin. Sakeena also offered lots of general tips. This included the advice that if you want a container candle to burn evenly and thoroughly, the first time you light it you should ideally let it burn continuously for two hours. If you extinguish it after just a short time, it will make a well in the wax and every time you light it after that it will continue to just sink further into that well rather than melt all the surface of the candle evenly all the way down. I really enjoyed the workshop and learnt a great deal more than I was expecting to. 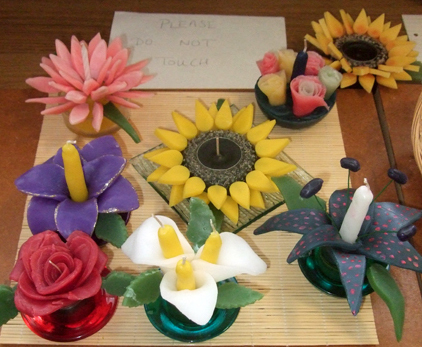 I'm very tempted to go along to other courses run by Lumiere de Londres, which include making candles in the shape of flowers. 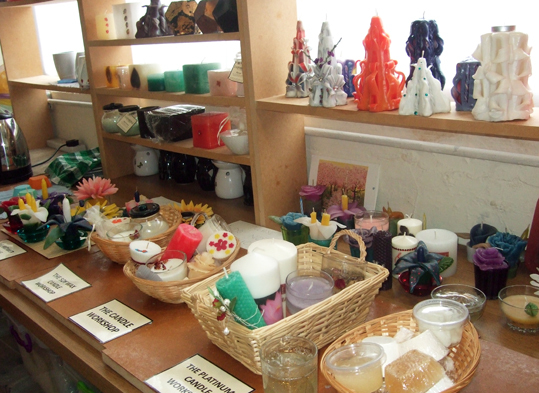 The pictures on this post show, from the top: the display of candles in the studio; a massage candle being made; wax melts setting; flower candles; the soy candles and melts I made plus two shimmering, scented oils I bought at Lumiere de Londres, made by Sakeena.